It feels so good to be back in the swing of things, but I’m also a little sad the holiday season is over and we all have to go back to our normal lives for another 12 months. 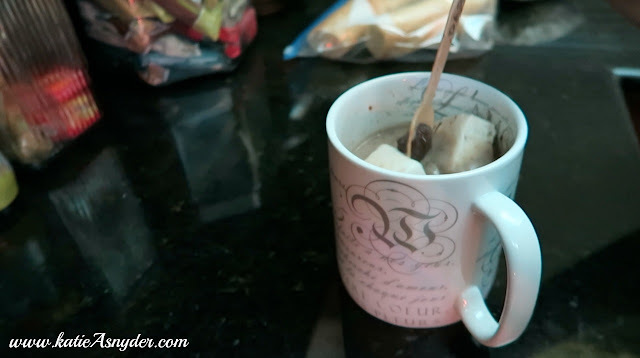 The My Meals Monday that I filmed was on New Years Eve, we had very exciting plans of going to a party and ringing in the new year properly, unfortunately I live in Hawaii, where fireworks are not only legal, they are almost mandated on New Years, so as you can imagine children and parents alike were so eager to play with their bomb-sounding fireworks that they began at 3 pm and didn’t stop until almost 2 am, which for me meant I had a very anxious puppy to contend with. While Charlie can walk past a firework exploding and not blink an eye, Louis on the other hand can sense if someone is just thinking about it, so we ended up canceling our plans and staying in on the couch with Louis wrapped in a blanket on top of me, and the tv up very loud. 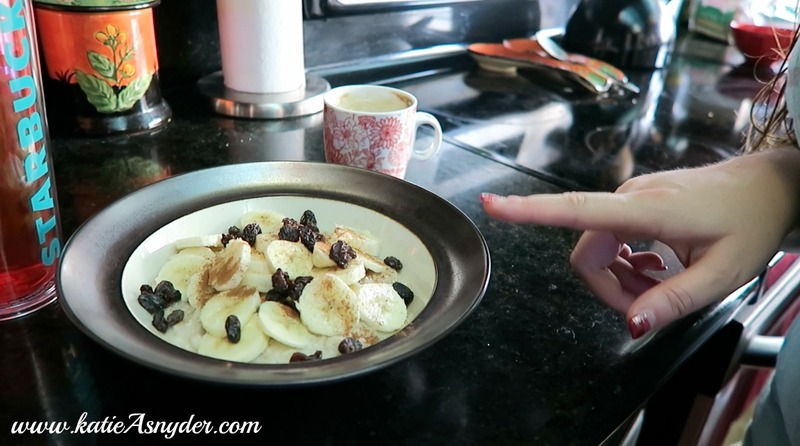 I started off with my usual oatmeal, coffee, and water, but lately I have been making my oatmeal on the stove rather than the instant, which means I get to have fun and “pimp out” my oatmeal (has anyone ever said “I pimped out my oatmeal” before lol), anyway I like it, so today I added banana, raisins, and cinnamon, if you do this make sure you add the raisins to the pan when you add the oats, so they plump up a bit. 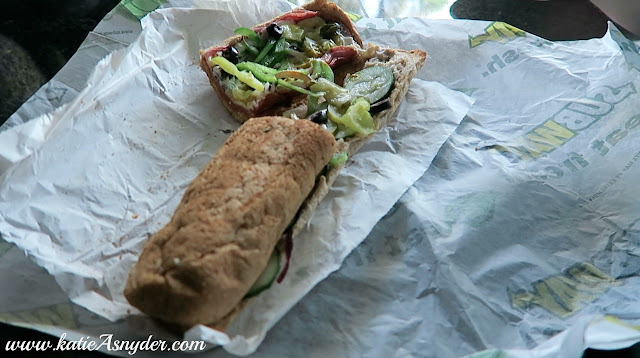 I had a very late lunch at 3pm which was Subway, I got the Spicy Italian on Honey Oat bread with bell pepper, onions, cucumber, olives, pickles, and banana peppers, it was nothing short of amazing. Because I had had such a late lunch by the time dinner rolled around I wasn’t very hungry so I had my last Hot Chocolate On A Spoon from Starbucks, it was ok, but I prefer the Milk Chocolate better than the dark. 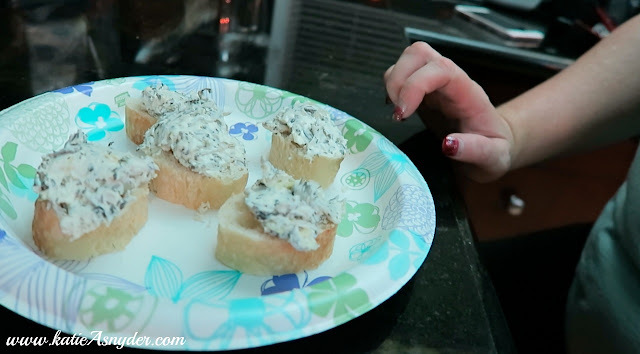 Finally I decided to have a little snack of French Baguette with Spinach and Artichoke dip on it, it was very yummy and was the perfect late evening snack. All in all I have to say staying home was kinda nice, not only did I have my 3 boys (1 husband, and 2 dogs), but it just felt nice to relax and not feel like I HAD to go to a party to be part of the in crowd, 2015 was kind of a year of learning to except myself, my flaws, and my challenges, and forgetting custom was nice for a change. What about you, what did you get up to on New Years Eve?